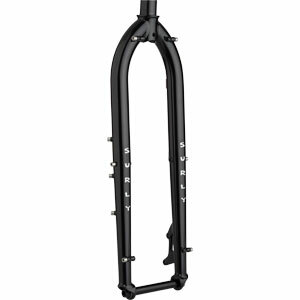 Employed on our Krampus and Karate Monkey frames this fork has 15mm thru-axle dropouts spaced at 110mm and clearance for up to a 29 x 3.0" tire. 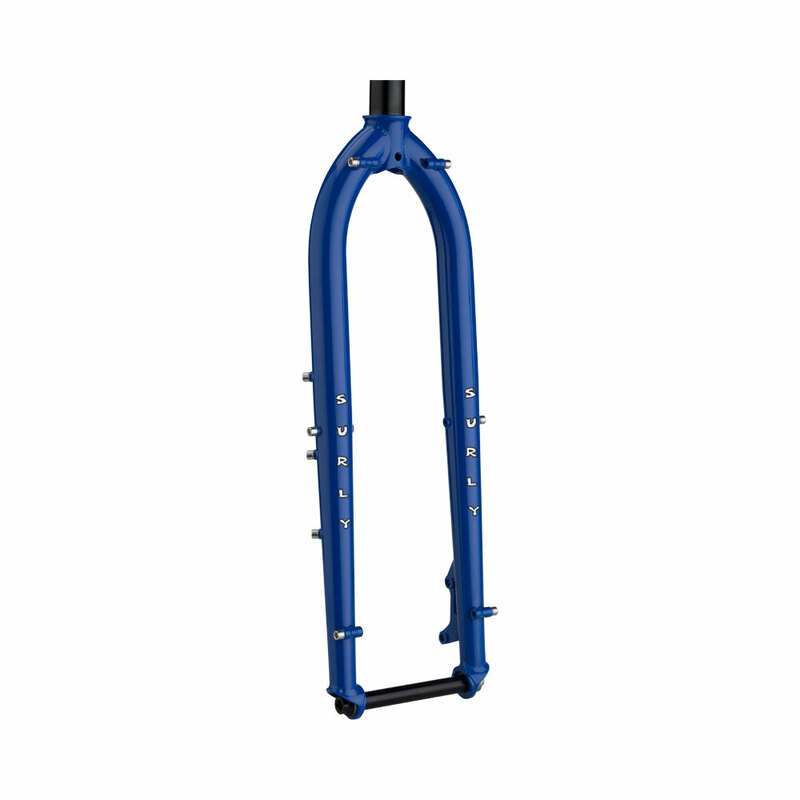 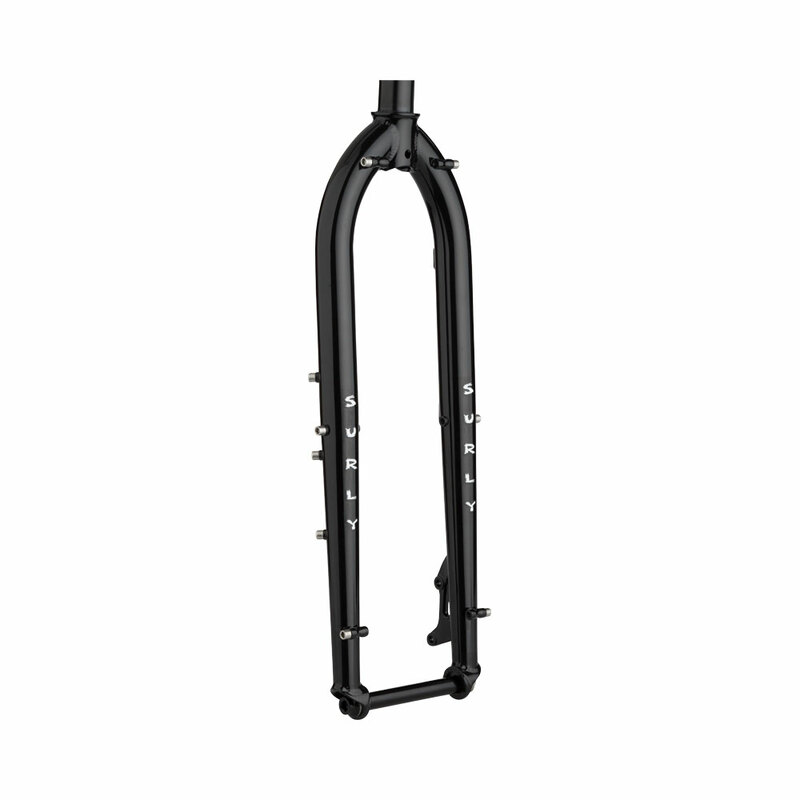 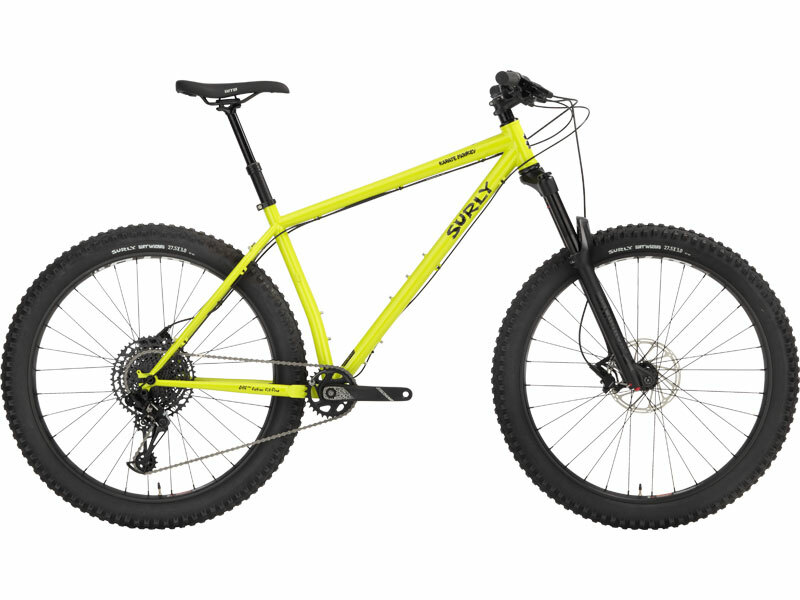 To accommodate such big tires it’s got a longer axle-to-crown measurement than our Ogre or original Karate Monkey forks, making it a perfect rigid fork option for lots of 29ers out there. 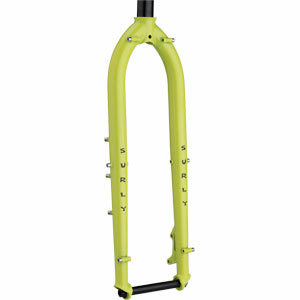 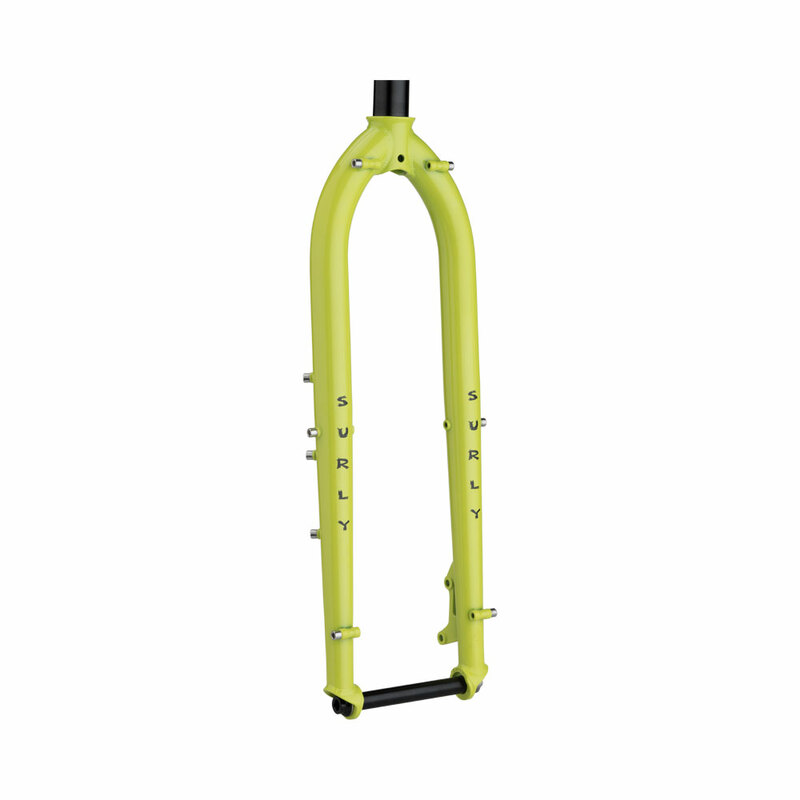 The Karate Monkey fork’s blades were designed and manufactured specifically to play well with the unique forces such a long fork with big tires will encounter, and the steer tube is standard 1-1/8˝ threadless. 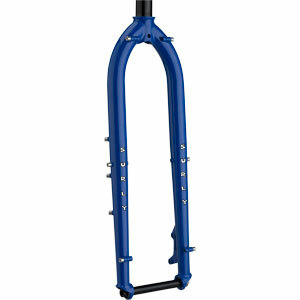 It has line guides for a disc brake line as well as mid-blade thru-blade eyelets and Three-Pack bosses on both fork legs.